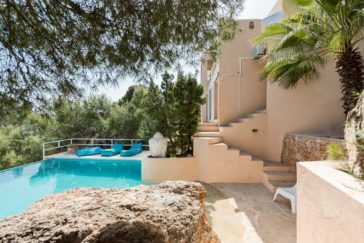 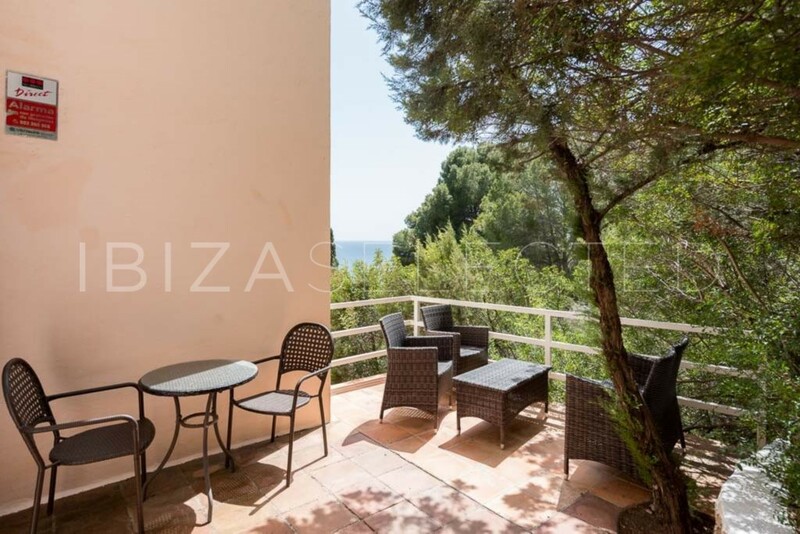 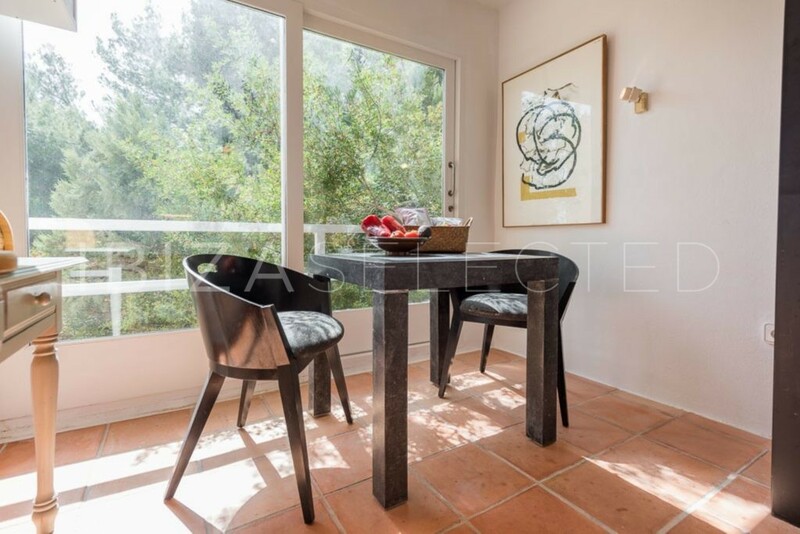 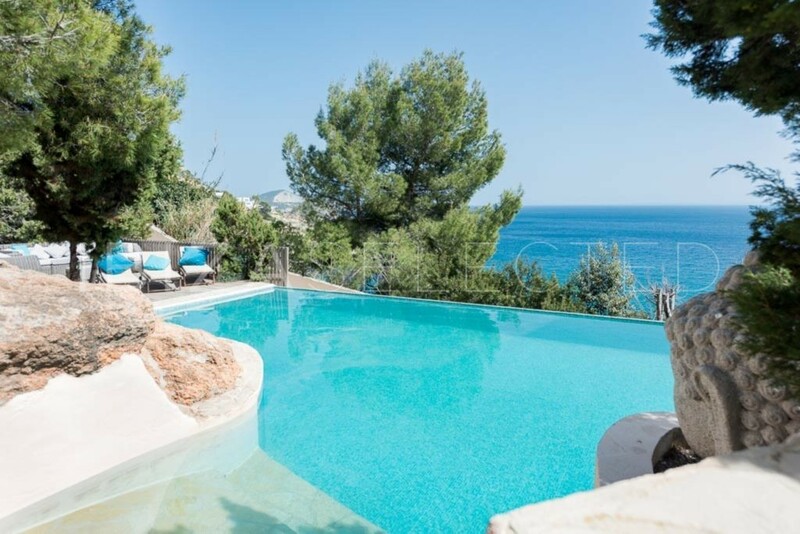 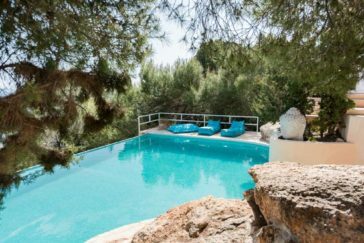 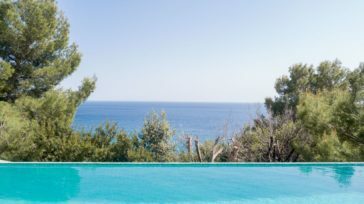 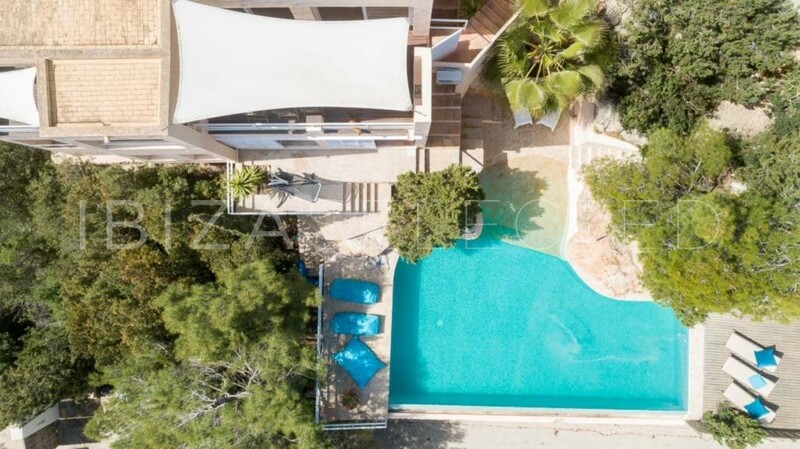 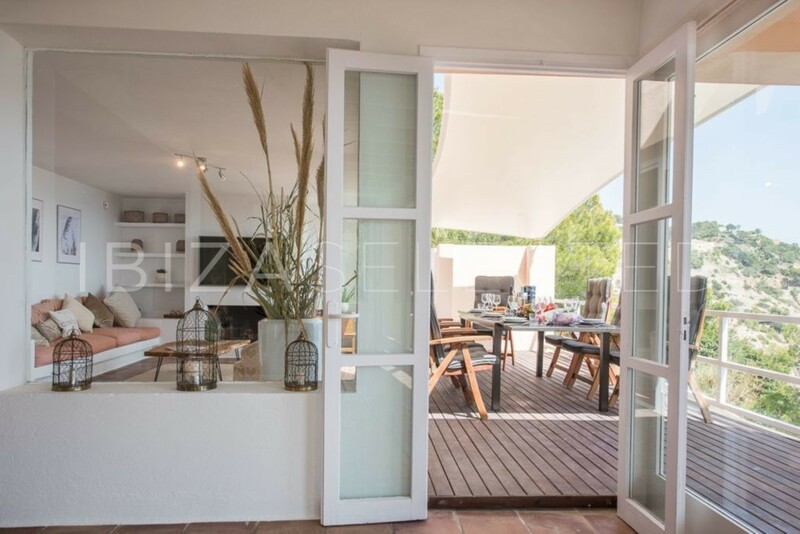 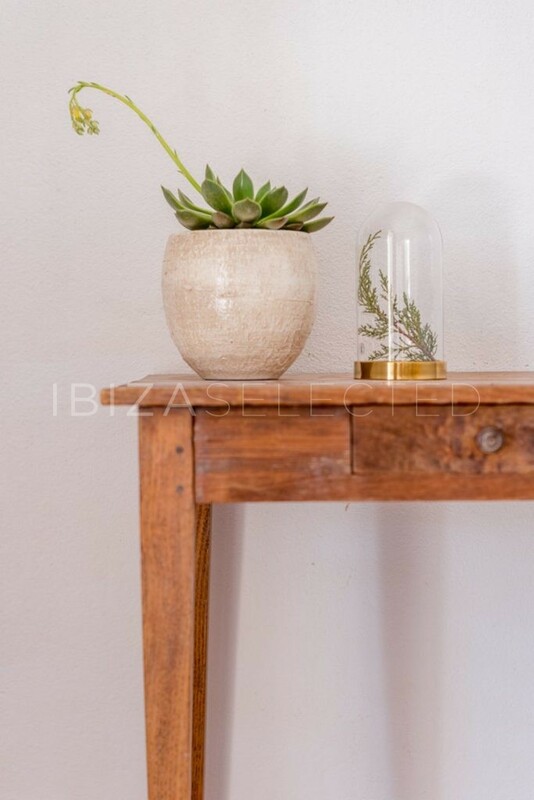 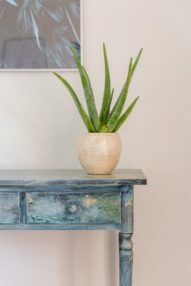 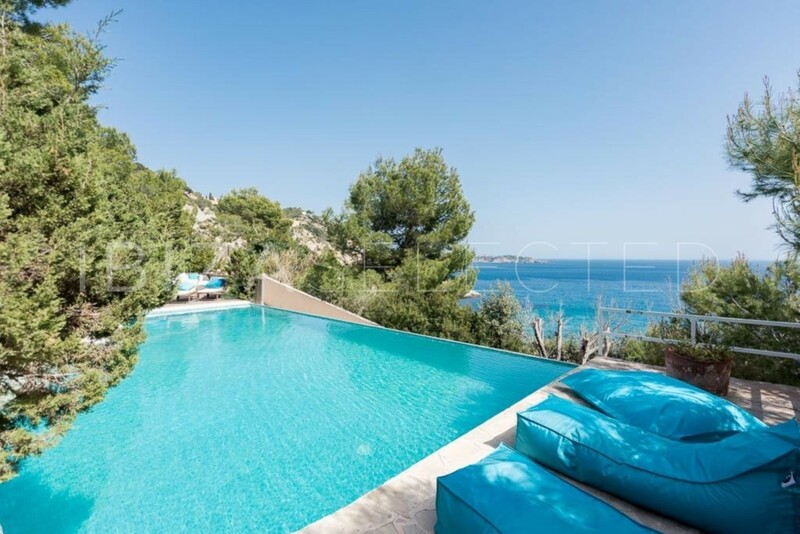 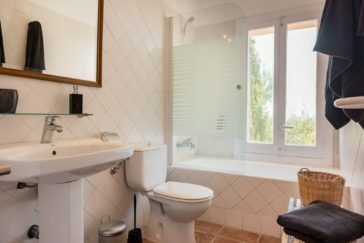 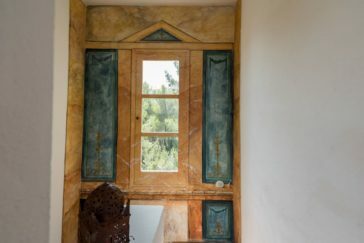 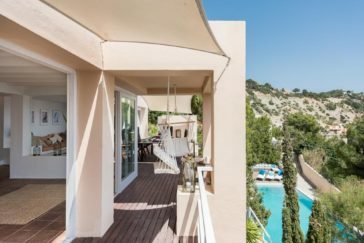 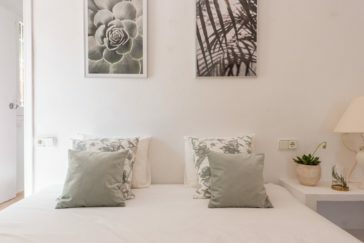 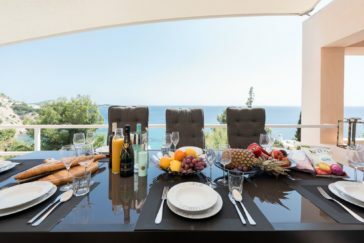 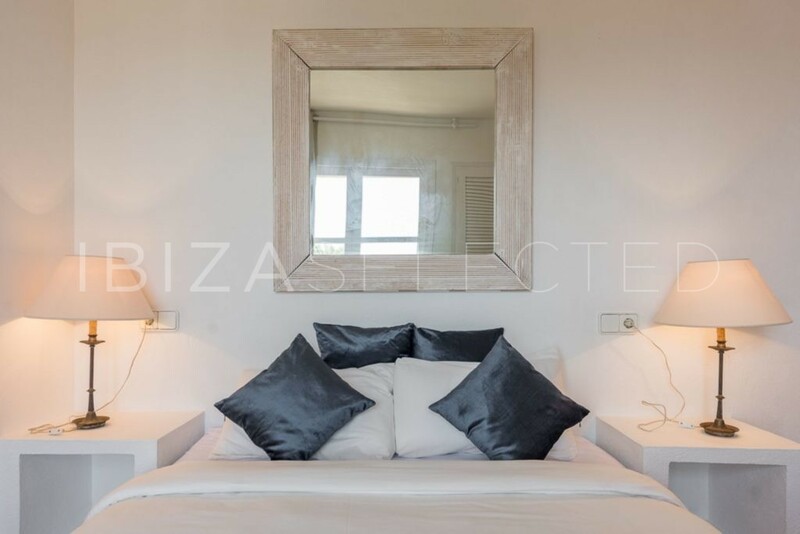 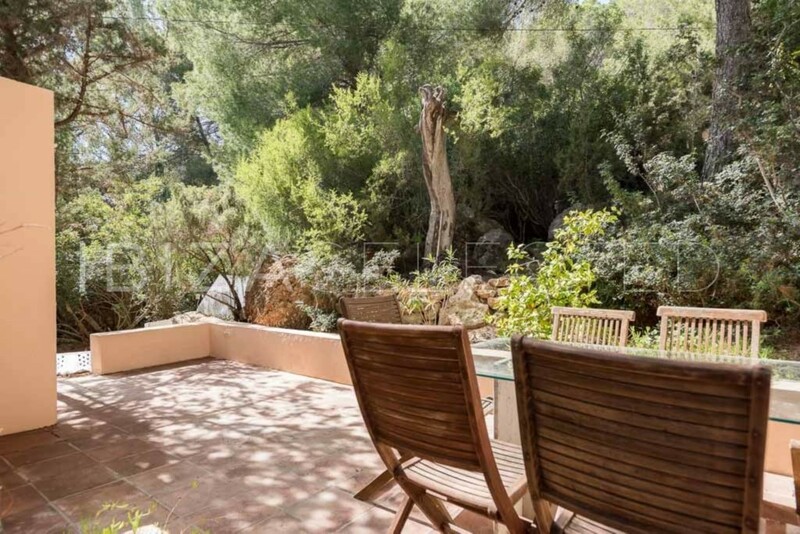 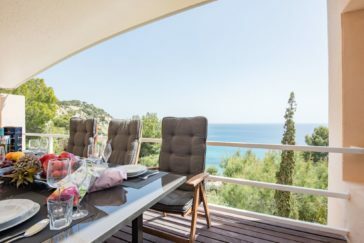 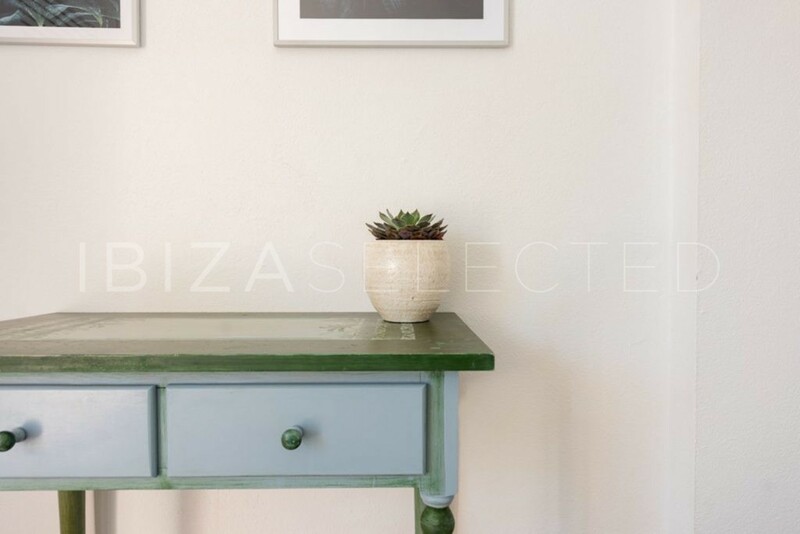 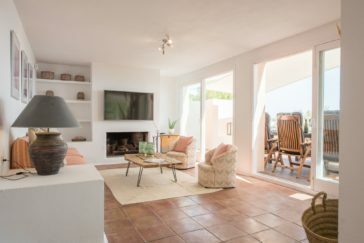 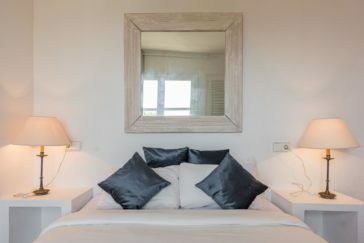 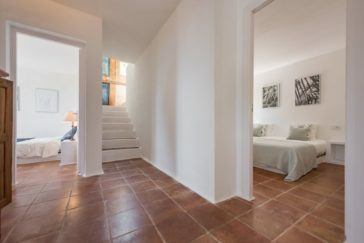 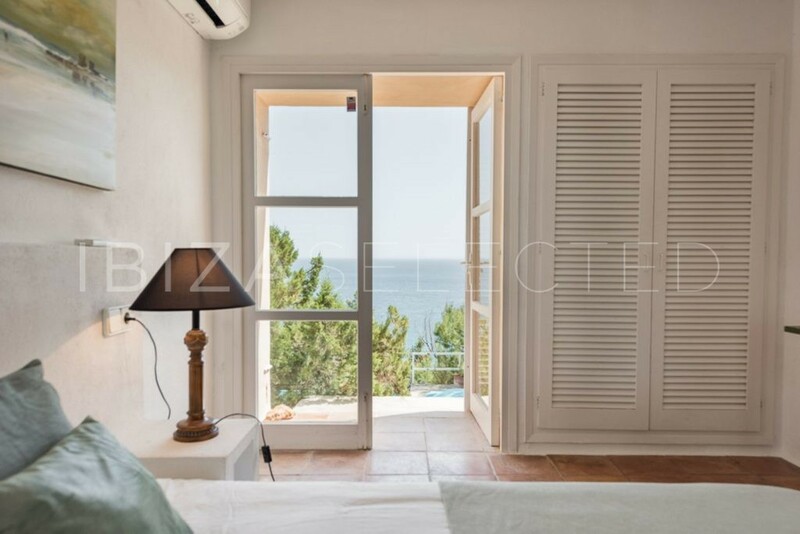 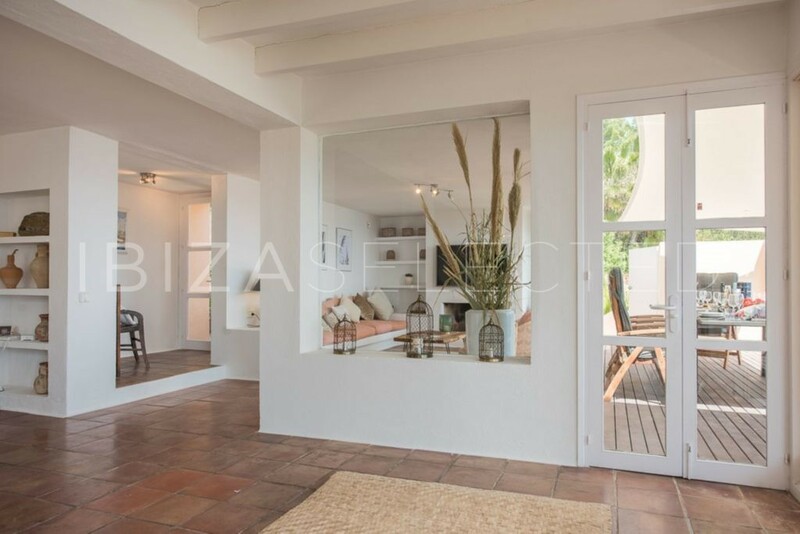 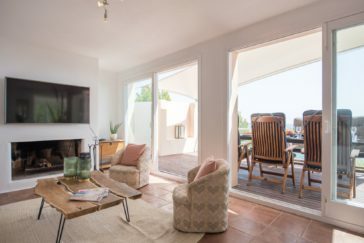 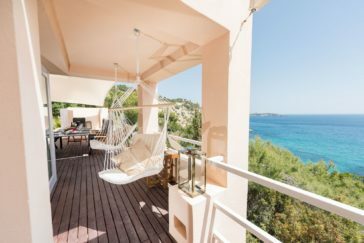 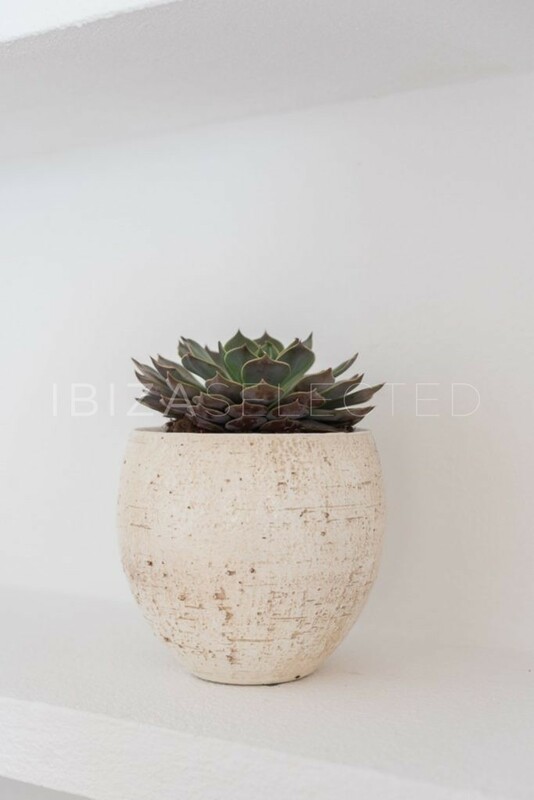 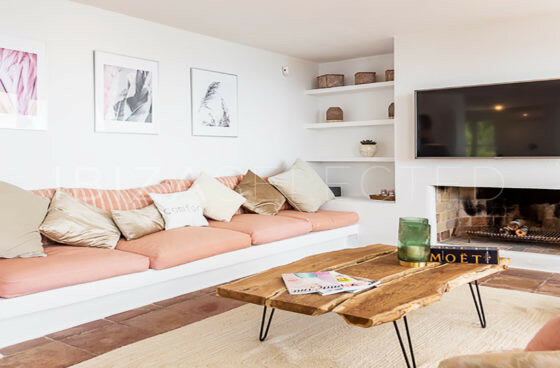 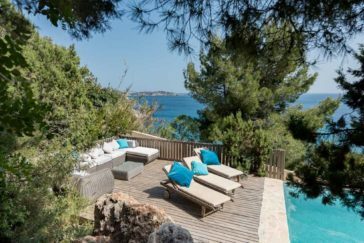 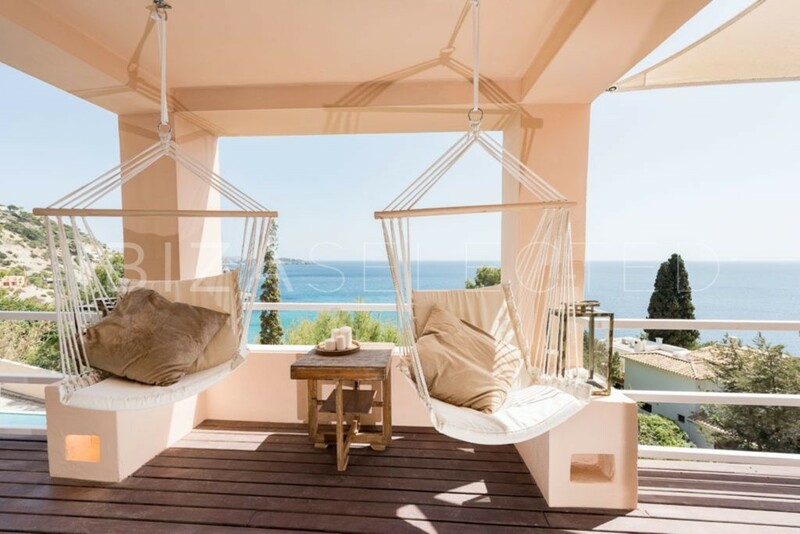 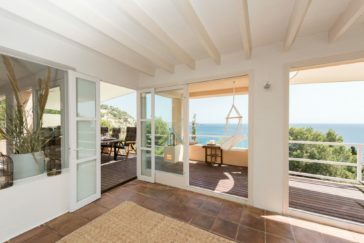 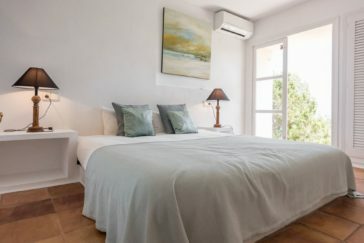 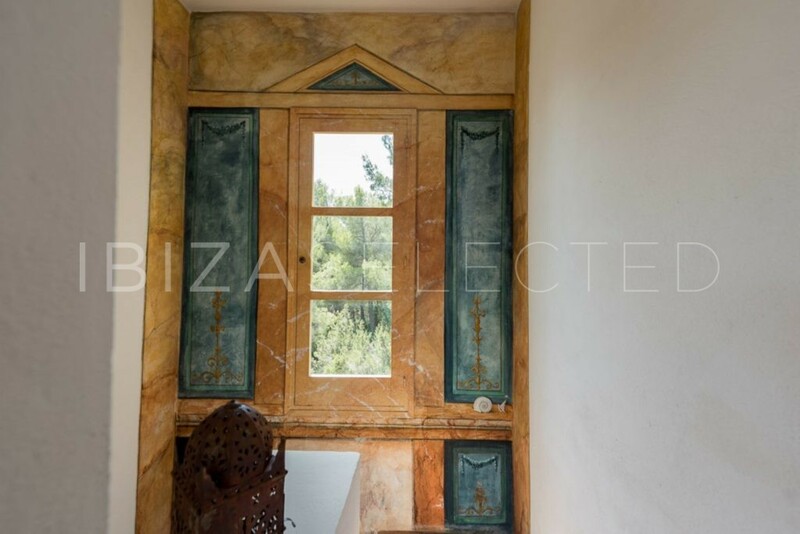 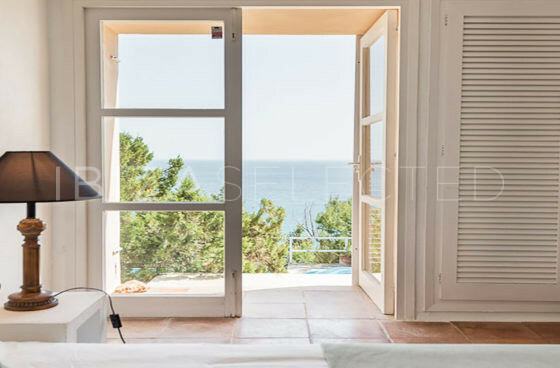 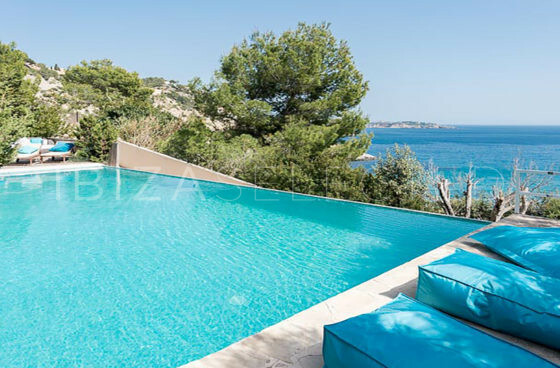 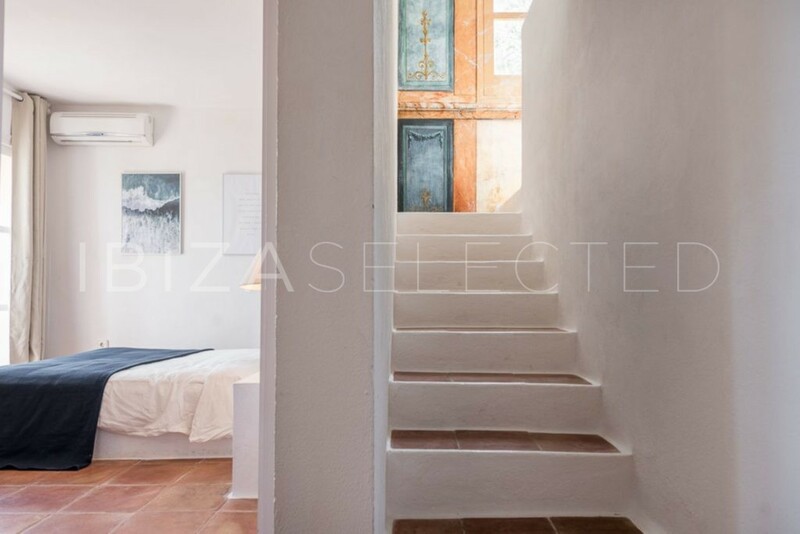 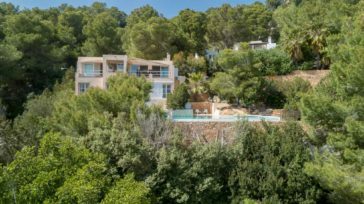 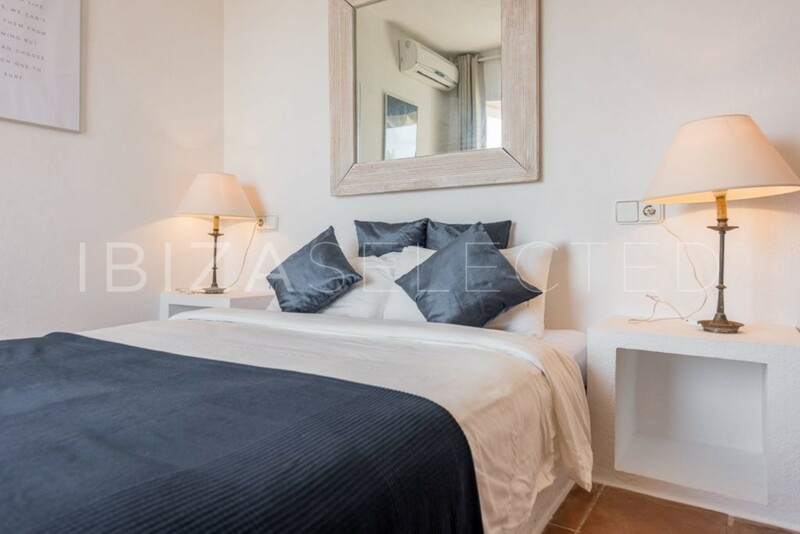 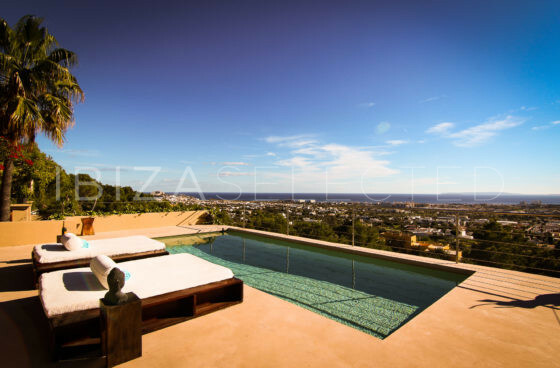 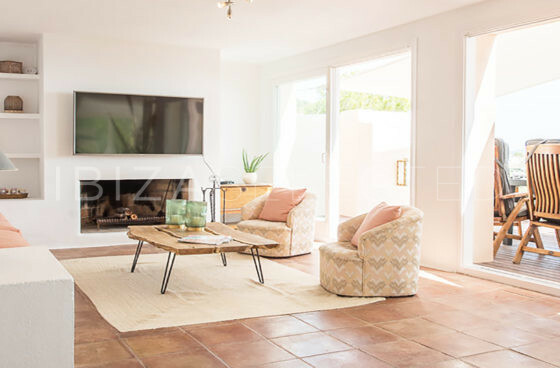 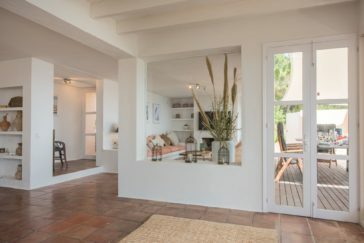 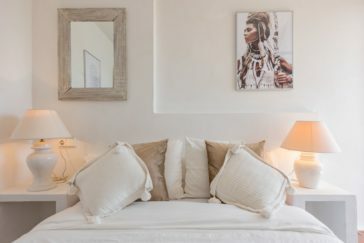 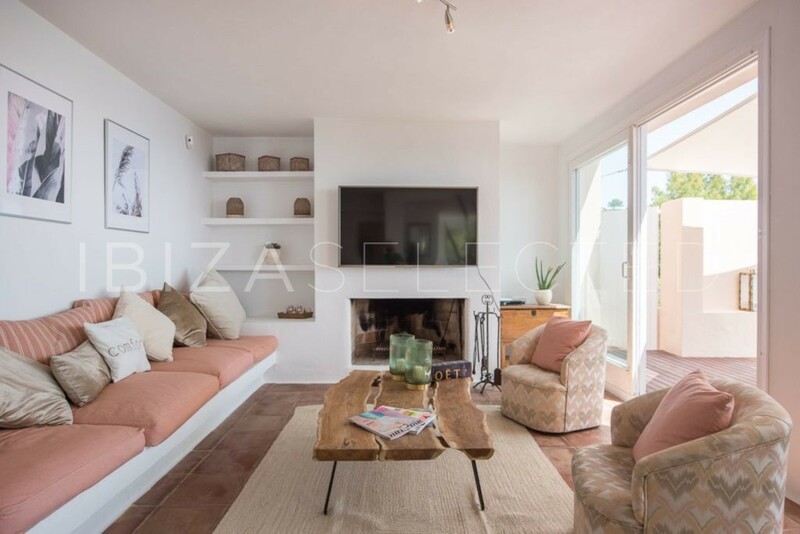 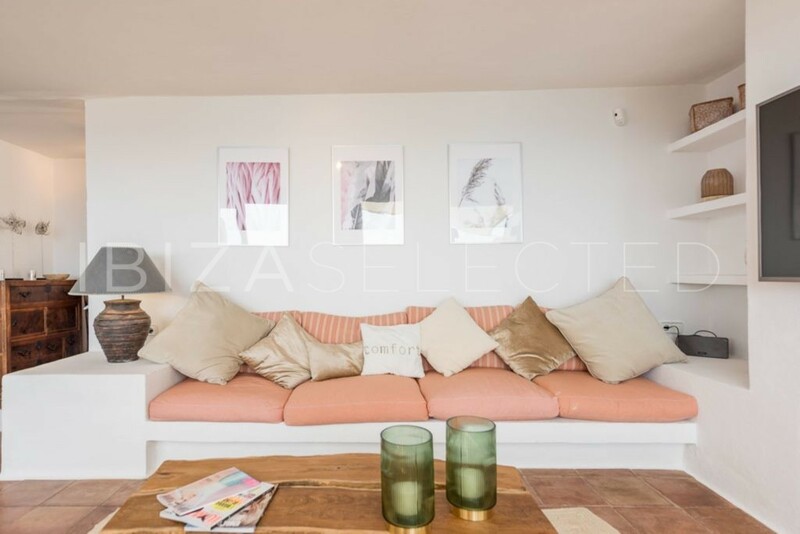 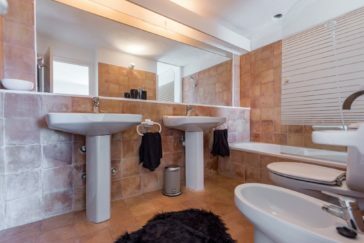 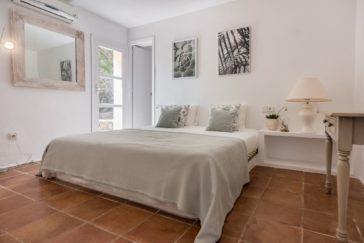 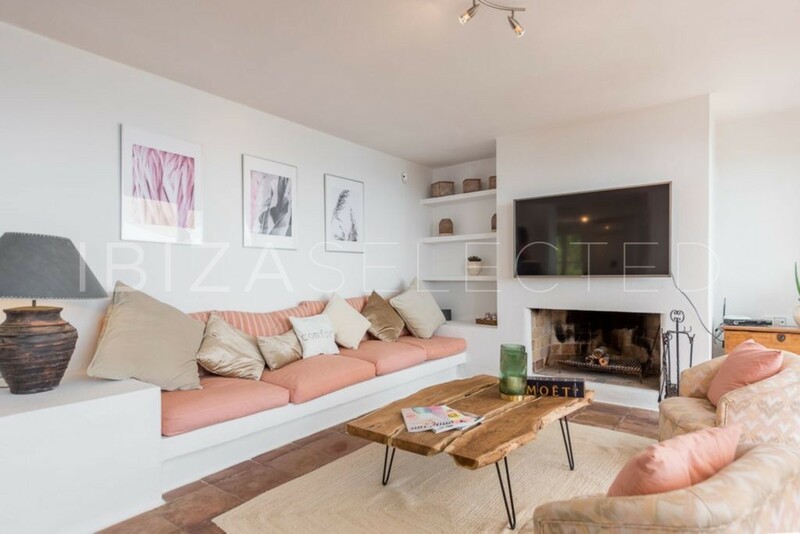 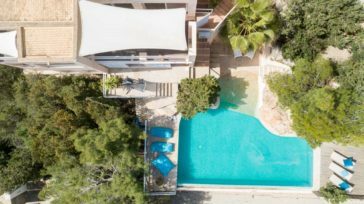 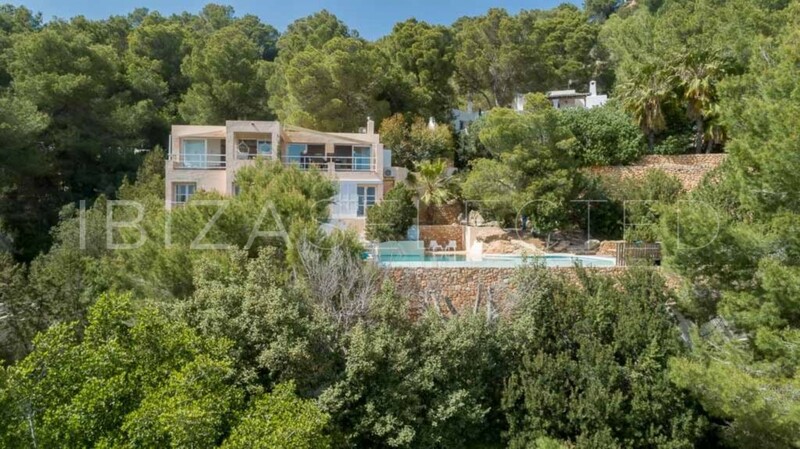 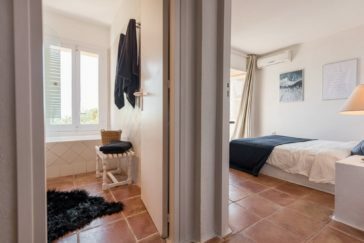 Villa Perla have 272 sqm living space and is located on the south west coast of Ibiza on the seafront with spectacular views over the Mediterranean Sea and the island of Formentera. 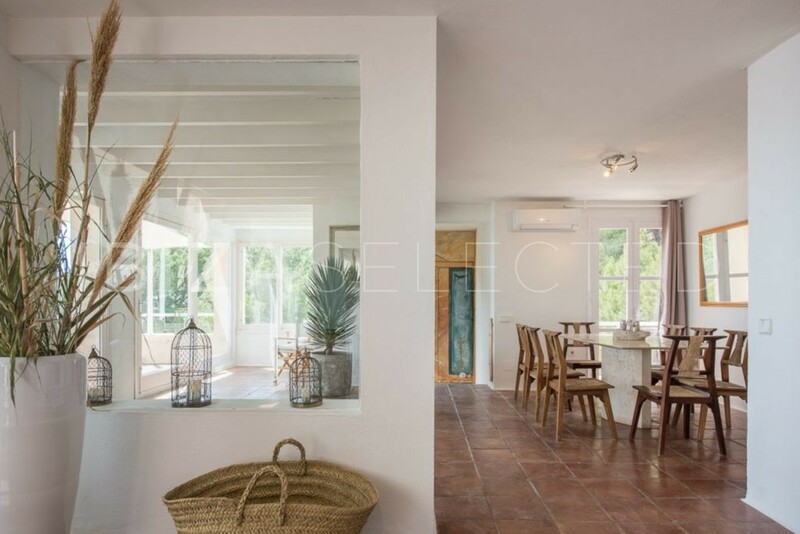 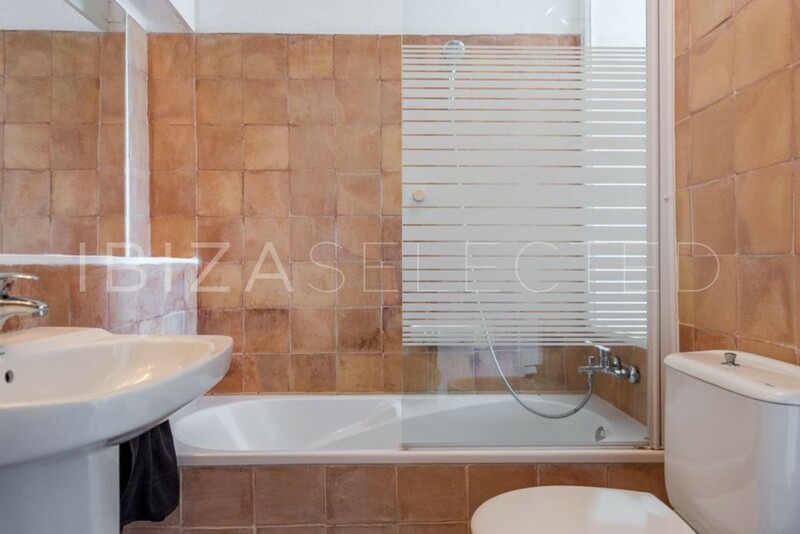 The two-storey villa is situated on a plot of about 560 sqm. 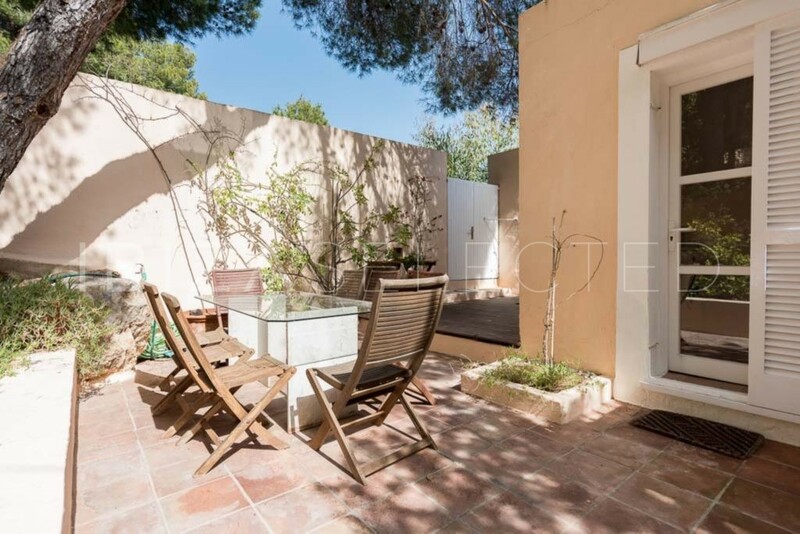 The exteriors of the villa are very pleasant for the clients, creating different spaces in areas of terraces. 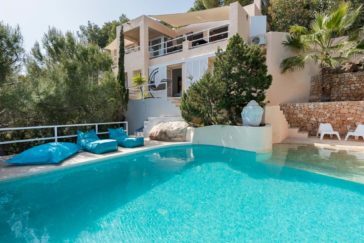 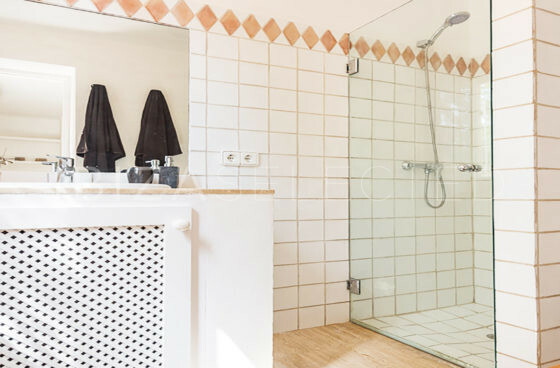 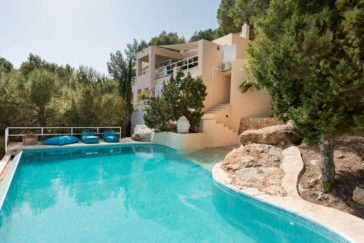 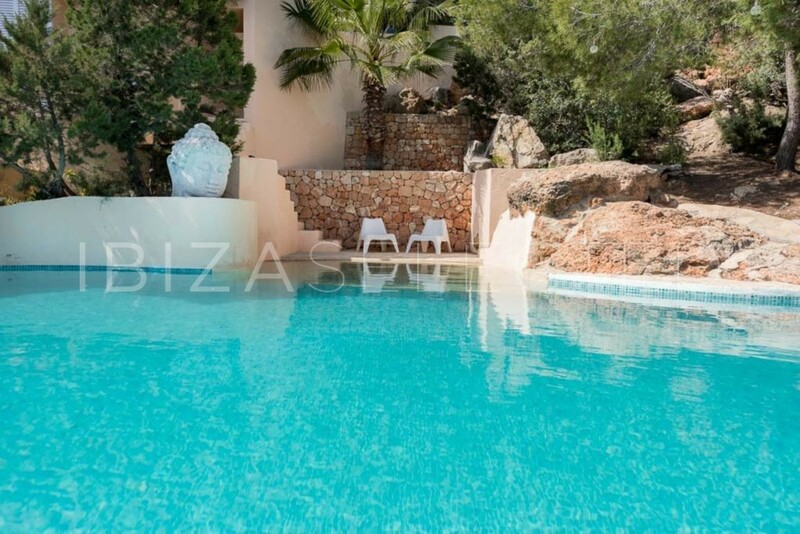 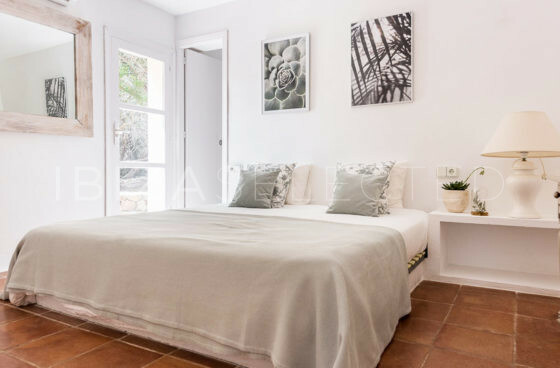 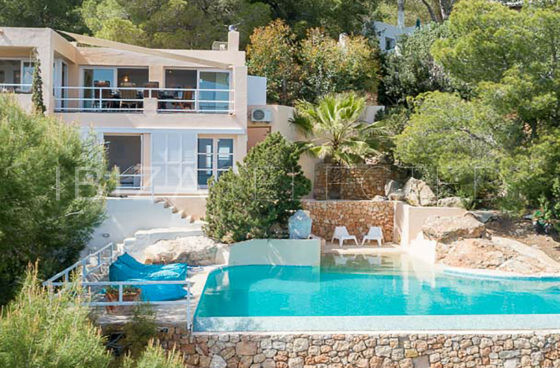 This villa is ideal for families or groups of friends looking to spend their perfect holidays on the island of Ibiza. 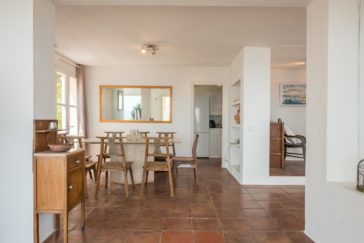 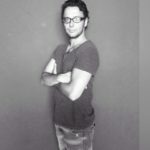 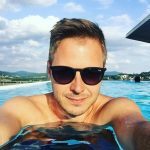 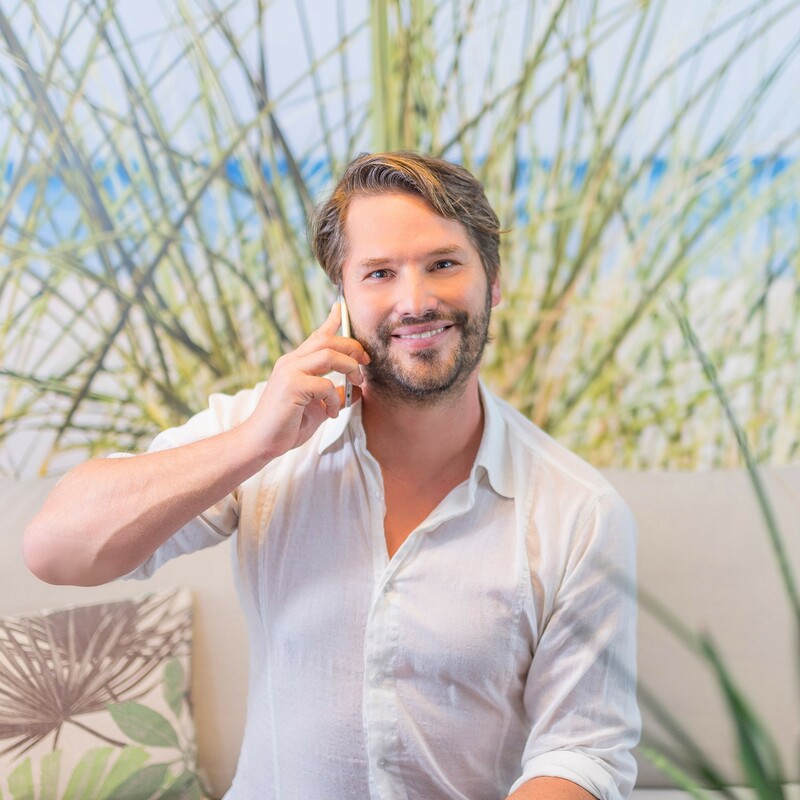 You can walk to Ses Boques a beach restaurant which is about 5 – 10 minutes away and also to the town of Es Cubells which is 10 minutes walk away. 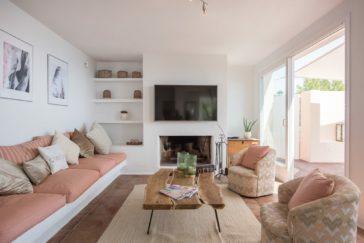 The living room has spectacular views towards the sea and is equipped with sofas, a Smart TV and a fireplace. The living room has direct exit to the main terrace where you will find a table for 8 people, 2 hanging swings to relax and look at the sea. 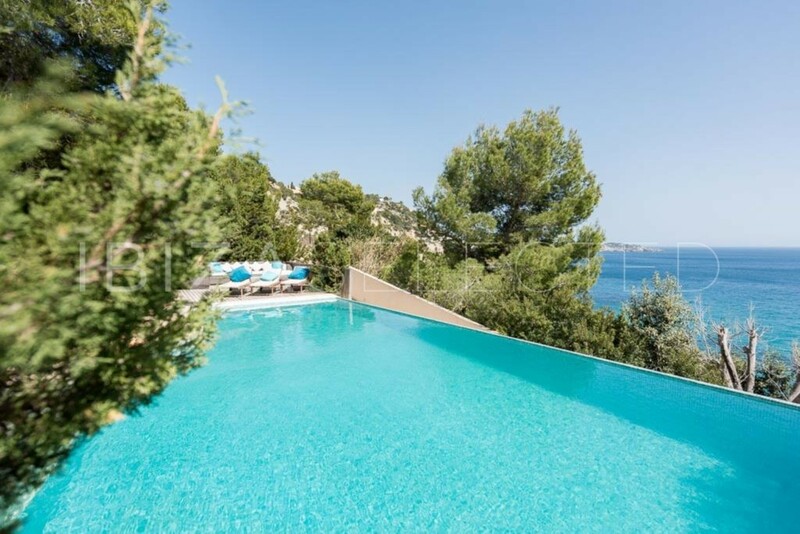 On the outside of the terrace there are stairs that directly lead you to the pool area. 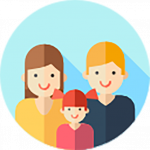 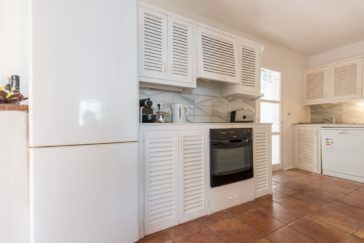 The kitchen is very well equipped with: ceramic hob, extractor hood, electric oven, dishwasher, refrigerator + freezer (combo), juicer, Nespresso machine, blender, toaster, water boiler and washing machine. Downstairsyou will find the bedrooms. 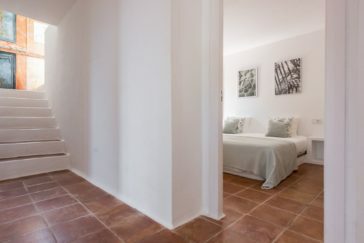 Two of the four bedrooms have a king sized bed and en suite bathroom. 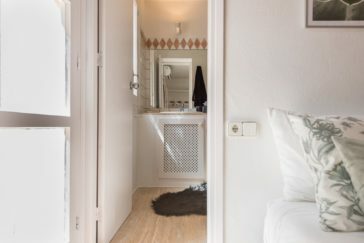 The two remaining bedrooms feature a queen sized bed and share a bathroom. 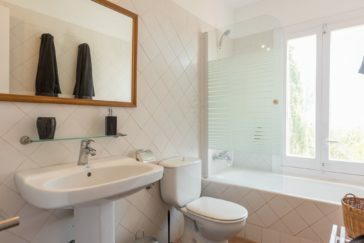 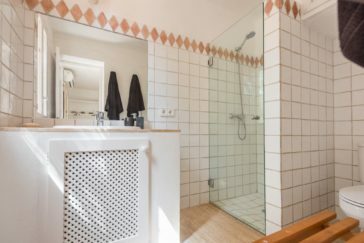 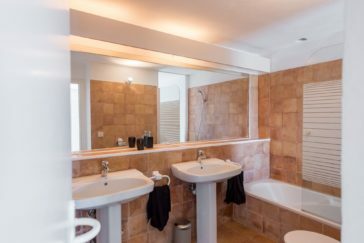 In addition to that there is a guests toilet downstairs. Two bedrooms have direct access to the pool area. 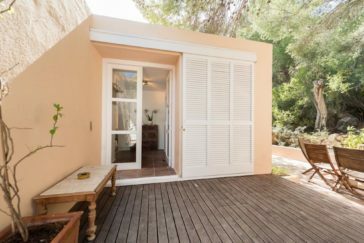 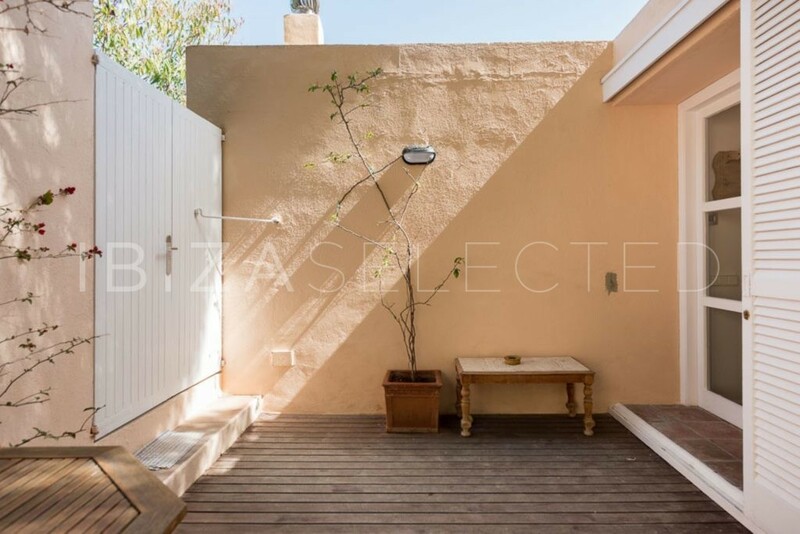 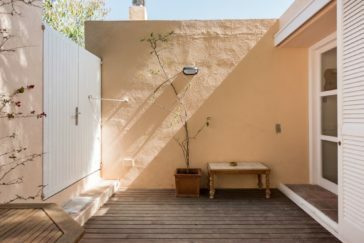 The remaining two bedrooms feature a own private terrace.